Audible.com is so painfully slow. Nonetheless, it is the cheapest way to get audiobooks and I love me some audiobooks. 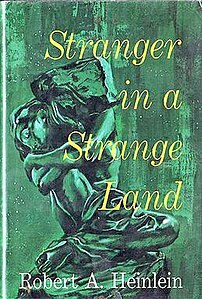 Currently, I’m reading the classic “Stranger in a Strange Land” a recommendation from my buddy Darin R. McClure. I don’t usually read fiction, but this has been pretty good so far.